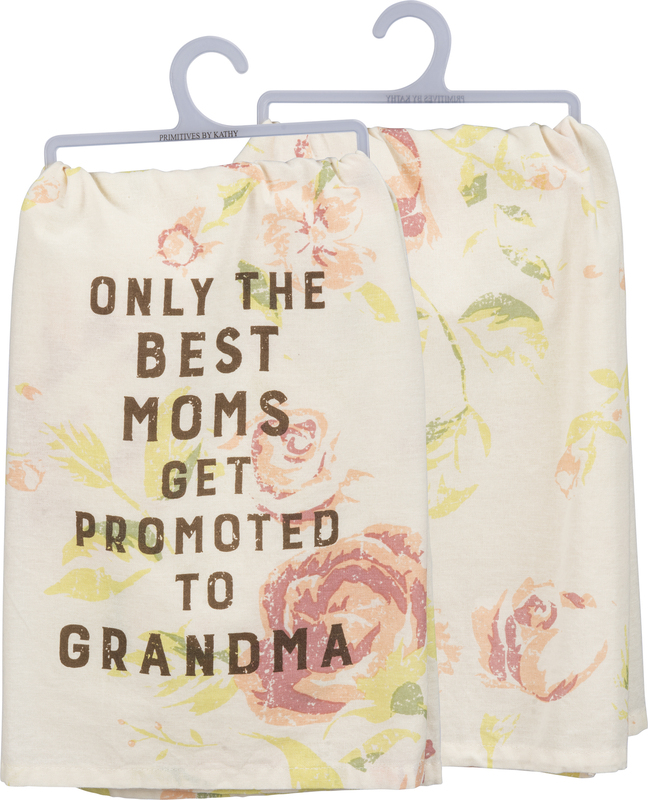 A cotton dish towel lending a distressed "Only The Best Moms Get Promoted To Grandma" sentiment with faded floral background print throughout. Complements well with coordinating design pieces for a cohesive display or gift set. Machine-washable.